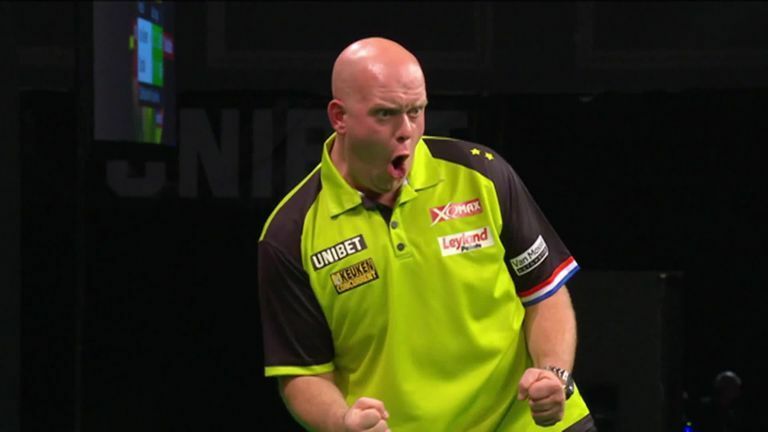 The semi-final line up at the World Grand Prix has been confirmed with Michael van Gerwen making it through defeating Dave Chisnall to end the night at the CityWest. Van Gerwen averaged 101, a tournament high so far but was pushed in most parts by the St Helens ace in a quality game of darts. Chisnall came out firing smashing through the first two legs to gain an early lead but MVG came back taking the next 3 legs to win the set 3-2 and take an early lead. These came in legs of 11, 12 and 14 darts. ’Chizzy’ was bang up for this clash and took the next set 3-1 averaging 98 to Michael’s 101. Despite that though, this was soon dispelled by MVG with him smashing through the next set with ease. He won it without reply to regain the lead at 2-1 and put him in pole position for the match with a 102.2 average. Chisnall claimed the first leg of the final set; but it wasn’t enough with MVG coming back to hit a 12 darter despite 2 180’s in the leg from his opponent. This marked the end to the entertaining clash and now Van Gerwen will face Daryl Gurney someone who he said doesn’t deserve to be in the top eight recently. As a result it could be a brilliant encounter. Click here for more information about the World Grand Prix.